Special Offer. Buy 6 Bottles for £70.00 each. Save £30.00 !! 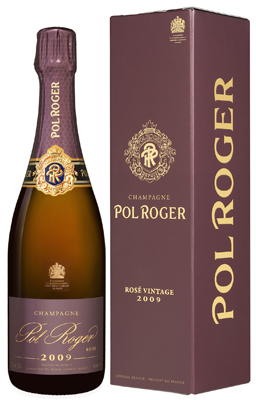 The Vintage 2009 is immediately eye-catching with its salmon-pink hue and glittering stream of fine bubbles. The nose is just as enticing, with great aromatic complexity. It combines aromas of red fresh fruits, sweet buttery brioche, and a spicy, detailed finish. On the palate, the wine exudes freshness and elegance; the overarching impression is one of remarkable delicacy. Notes of exotic fruits combine harmoniously with floral undertones. On the finish, hints of dried fruit emerge leading to an outstandingly fresh and powerful finish. The Brut Rosé 2009 is the ideal choice to accompany fish such as grilled salmon or even sushi. It also marries perfectly with fruit tarts and other fruit desserts; try pairing with a forced Rhubarb fool, the sharpness of the fruit complementing the elegant structure of the wine.